What’s at the root of the dispute between USM faculty and administration? University of Southern Maine student Meaghan LaSala (left) stands next to another supporter holding a sign on Wednesday at a news conference at the school's Portland campus, where students and faculty members protested layoffs there. David Flanagan, the retired CEO of Central Maine Power Co. and a former University of Maine System trustee, was named the interim president at the troubled University of Southern Maine last year. Professor Susan Feiner leads the call for USM students to march to a University of Maine System trustees meeting and demand an end to faculty and program cuts last year in Portland. PORTLAND, Maine — On Sunday and Monday, a three-person team from the American Association of University Professors will visit the University of Southern Maine as part of an investigation into school administrators’ efforts to fill a budget gap, a process that involved cutting more than 50 faculty positions and five full programs. As expected, USM administrators and faculty members have very different perspectives on this visit. Administration representatives are wary the AAUP panel will arrive with a predetermined outcome in mind — that the school was unjustified in laying people off and eliminating programs — and nothing USM officials say will make any difference. USM faculty members sharply disagree, and suggest that by taking the tack that the investigation has a foregone conclusion, the administration is building in excuses in case the AAUP team finds fault with the budget cuts. Both sides also disagree on whether the AAUP’s findings will have any meaningful impact on the dispute over the cuts. The administration repeatedly has said AAUP has no standing — it doesn’t serve as the union that represents USM faculty, nor does it legally regulate higher education in Maine. University faculty members counter that AAUP standards and guidelines are explicitly referenced as the underpinnings of USM’s governance documents, so the school can’t run afoul of the AAUP without by extension running afoul of its own constitution. One thing both sides seem to agree on is this: A late April arbitration process will yield the final decision on whether the university’s faculty and program cuts can stand. What’s at the base of the dispute? The university has been claiming budget crises for several years, and is now on its third president since 2012. Former Central Maine Power Co. CEO David Flanagan was given the presidency on a temporary basis in July and charged with stabilizing the USM budget — by whatever unpopular means necessary — before a permanent president is chosen to take over next summer. To react to what he called a $16 million budget shortfall for the upcoming fiscal year, Flanagan cut 51 faculty positions and five programs, as well as dozens of staff jobs. Students and faculty decried the cuts, saying the reductions gouged school course offerings to a point where USM would struggle to attract and retain students. Critics also lamented the disappearance of programs that once were sources of great distinction for USM — such as the American and New England Studies program. 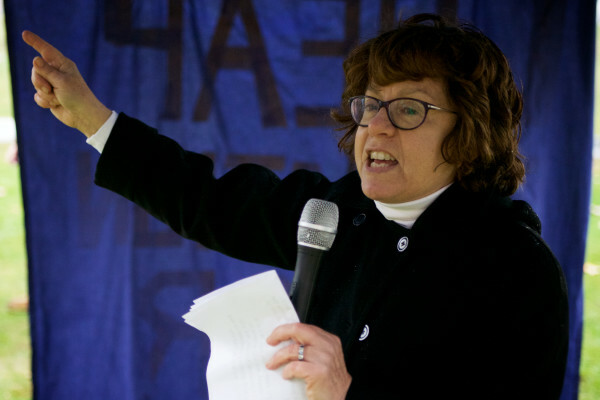 Susan Feiner — co-president of the USM branch of the Associated Faculties of the Universities of Maine, the labor union that represents the school’s faculty members — has been among those to argue more directly that the school’s budget crisis has been overblown, if not fabricated entirely. Feiner said the university is on stronger financial footing than administrators let on, and that, if engaged, faculty members could help find spending cuts that wouldn’t result in lost professors and programs. What will the AAUP find? Quint said the scheduling of the visit — with what he described as short notice and a lack of flexibility — is a sign the panel isn’t truly interested in giving USM administrators a fair shot. In a Thursday letter to the AAUP, Flanagan reiterates the stance that the organization has no standing in the dispute, but offers a Sunday night window to meet with the investigative team. Feiner, geography professor Lydia Savage and other faculty members have pointed out that AAUP rarely conducts these types of investigations, arguing that the AAUP only launches such probes in high-alarm or extreme circumstances. “There are no foregone conclusions here,” said Lorrayne Carroll, an associate professor of English at USM and president of the local AAUP branch. After visiting the school and conducting its investigation, the AAUP could place USM on its censure list, a black mark Feiner said would hurt the university’s ability to recruit high-quality professors, but which Quint brushed off as a few days’ worth of bad publicity and nothing more damaging. So while the AAUP isn’t involved directly in collective bargaining between the administration and faculty at USM, the association’s standards are so tightly woven into the school’s governance documents that the university can’t buck the AAUP without bucking its own constitution, faculty members argue. To build off that point, Feiner said AAUP standards surrounding faculty governance — establishment of faculty influence over the university’s mission statement and curriculum, among other things — are cited in USM’s guiding documents and were trampled by the administration in its budget decisions and recent pursuit of a community-integrated, hands-on “metropolitan university” approach to higher education. The overlap between AAUP standards and USM standards continues on to the discussion of ethics, Feiner said. “The notion of professional ethics is very much grounded in the area of shared, faculty governance. When you break from faculty governance, you’re acting unethically,” Feiner said. “It’s certainly not ethical to fire people via email. That’s certainly not ethical. 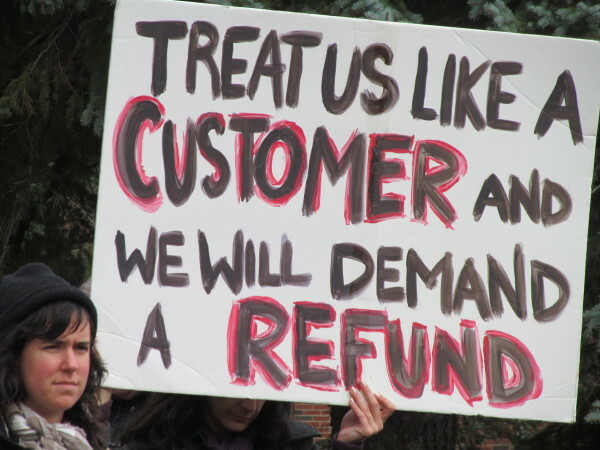 It’s not ethical to misrepresent the financial status of the University of Maine System. So no, I would say [USM administrators] have not acted ethically. “I believe that in arbitration, we are likely to use the results of the AAUP investigation as evidence of the ways in which the contract has been violated,” she continued. On Friday, the USM faculty senate voted 27-1, with one abstention, for a measure that urges Flanagan and the administration to rescind the cuts because their failure to consult with the faculty senate before eliminating programs and positions violated the university’s constitution, according to the faculty senate’s interpretation of that document. Quint acknowledged the constitution passages that reference the AAUP documents, but disagreed that they give the association leverage over the university. He noted that the USM constitution also includes language explicitly stating that nothing therein should be construed as granting ultimate decision-making authority to anyone other than the University of Maine System board of trustees — which voted in September and November to implement the controversial cuts. When it comes to the question of ethics, Quint said it’s a subjective standard. Faculty members disagree with the notion that the administration complied with the union contract in its job and program cuts. In late April, representatives of the two sides will meet with an arbitrator whose ruling on the dispute will be final. If that arbitrator agrees with the faculty union, which hopes to have the AAUP investigation report as evidence on its side, the university will need to reinstate the eliminated positions and programs and quickly develop a new budget before the July 1 start of the next fiscal year. 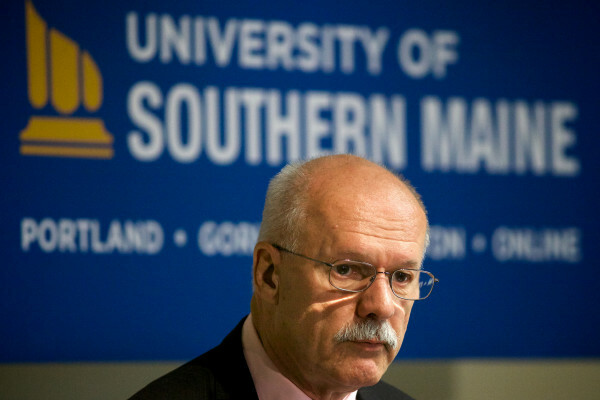 Feiner said, as an example, the university was required to undergo a suspension period and a period of graduating students in a given program before that program is eliminated, and USM skipped straight to the elimination stage with the five program cuts. She also said the board of trustees has specific time windows within a given year to eliminate programs — one in June and one in January — and that trustees acted outside those windows by voting on the cuts in September and November. Quint didn’t respond directly to the contract and governance violations Feiner claimed.